Kids can learn more from the recent shootings in schools than just "be wary of classmates with suspicious behavior." 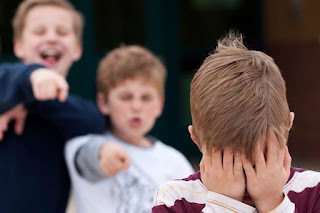 "Parents should talk to their children about troublesome classmates, but also about their fears and the complex social situations that can lead to violence," said Dr. Ernest Fruge, a psychologist at Baylor College of Medicine and Texas Children's Cancer Center in Houston. Summer vacation offers parents a chance to have thoughtful discussions with their kids and to get to know them better. Research has shown that the kids who are least likely to engage in dangerous behavior such as carrying guns, are those who feel loved and appreciated at home and school. "Parents who listen to their children's thoughts, feelings and concerns show that their kids are important to them," said Fruge, Baylor assistant professor of family and community medicine and pediatrics. "These discussions can help parents understand the way their children see the world and respond to social situations that might lead to frustration, anger, and violence." For example, the high school students in Colorado who went on a shooting spree apparently had been ridiculed for being different. Fruge recommends that parents ask their children not just whether any students have been making threats, but also how people treat one another at school. Ask whether any students are often made fun of, and how other students and teachers respond. "If children admit they participated in the teasing, the natural reaction of many parents might be to immediately say, 'You shouldn't do that,'" Fruge said. "But this immediate reaction might send the message that you are not really interested in their world--you only want to correct them." Asking the child to discuss the social pressures that led them to join in on the verbal harassment can lead to a more meaningful conversation, Fruge said. "Your child might go on to tell you, 'Gee, if I didn't go along with the crowd, they might have started making fun of me too.' You now have a better understanding of their world, and that's a major accomplishment for any parent. Why do people make fun of others? Is it fair? How would you feel if you were the one being ridiculed? How do you think the ridiculed person's life might change if no one made fun of him or her? With thought-provoking questions, parents can guide their kids to think and act more maturely. In the process, parents are likely to get to know their children better and feel more secure about their kids' ability to make good decisions and reduce their safety risks, Fruge said.